Be coached by one of our renowned Melbourne stylists to the stars, to reveal your fashion-potential. Your stylist will accompany you on a 3 hour per person shopping experience visiting boutique fashion stores in the Chapel Street precinct. Once you have tried your new looks, you can relax in your suite at the hotel where two glasses of sparkling wine await with a 'Signature' bath menu. Wake up to sumptuous room service breakfast served in your suite the following day. The Como Melbourne MGallery holds court at 630 Chapel Street, the city's top destination for fashion and shopping. Many celebrities have passed through its doors, including famous international artists, musicians and actors. .. Located poolside, this exceptional space offers a sun-drenched escape on the hotel rooftop. Located on upscale Chapel Street, this iconic hotel is the place to energise and unwind in Melbourne. The light filled lobby offers travellers a warm welcome. Sample a signature cocktail at SOBar or start your day with breakfast at The Brasserie. 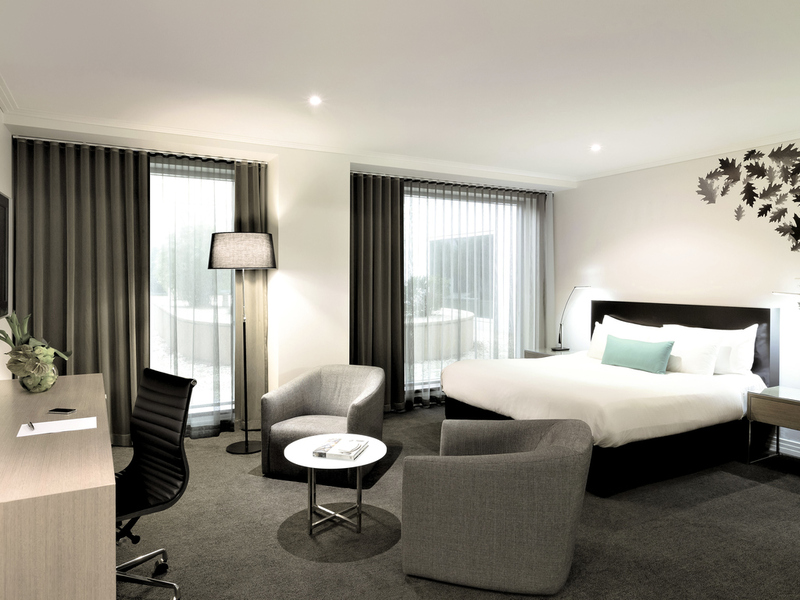 We invite you to experience a Memorable Moment when you stay at The Como Melbourne. Spend one-on-one time with a renowned stylist to the stars, to reveal your fashion potential on a three-hour personalised shopping experience on Chapel Street. Once you have tried on your new looks, you can relax in your spacious suite, where iced champagne await alongside a signature bath menu experience. Wake up to a sumptuous room service breakfast, served in bed or in the sitting area. The garden city of Australia boasts the English charm of its Victorian facades, modern architecture and picturesque parks. Melbourne is both a cultural and a gastronomic melting pot, with influences from all over the world, a real voyage for the senses. From International Airport Follow City Link Tullamarine Highway into the city for approximately 20 minutes. Exit -left- on Kings Way. Follow Kings Way for approximately 2km. Exit -left- onto Toorak Road. Follow Toorak Road for approximately 2km. At the corner of Chapel Street and Toorak Road turn left at the traffic lights and The Como is located immediately on your right. Next to Channel 10 building. 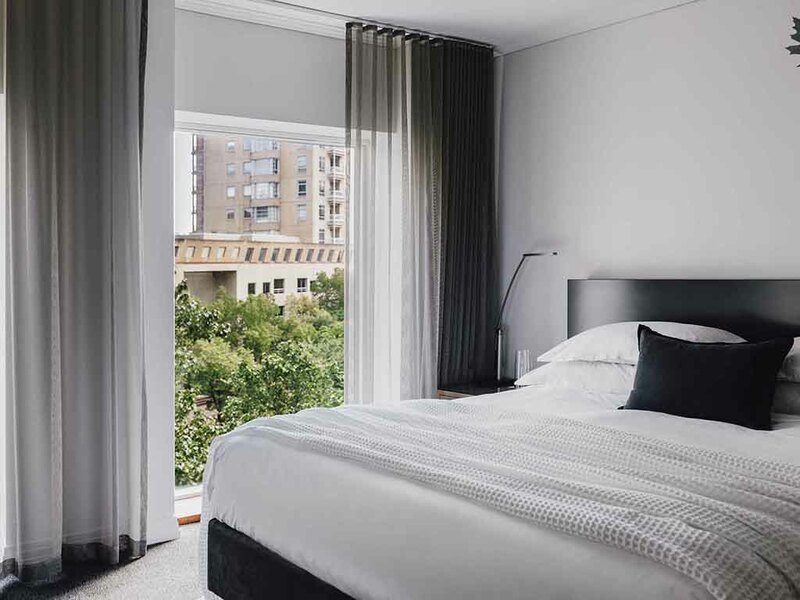 Offering boutique accommodation in the heart of South Yarra, The Como Melbourne MGallery by Sofitel is the perfect option for business or leisure travel. 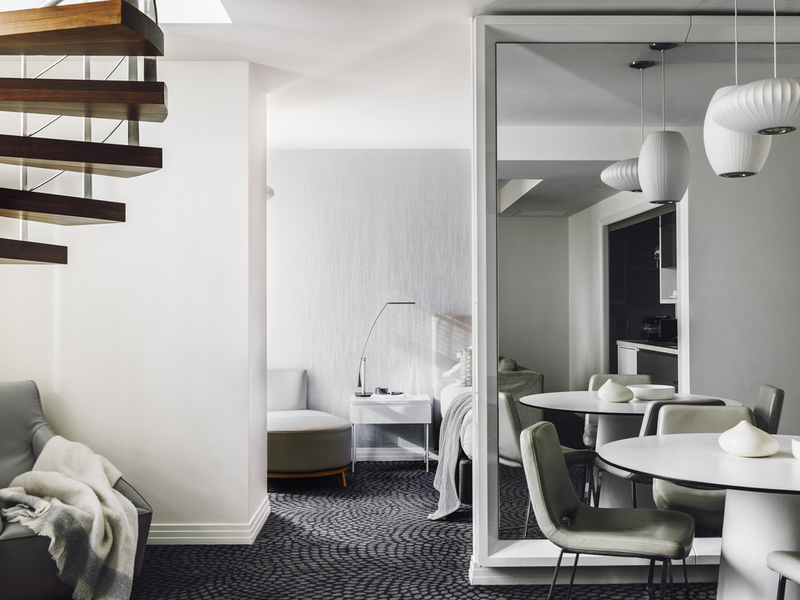 Outstanding service and elegant guest suites are a stylish feature at this chic Melbourne hotel. Suites feature well-designed black marble bathrooms with Japanese-style baths to soak in gorgeous luxury. Long stay guests can utilise the fully equipped kitchens and spacious living areas. 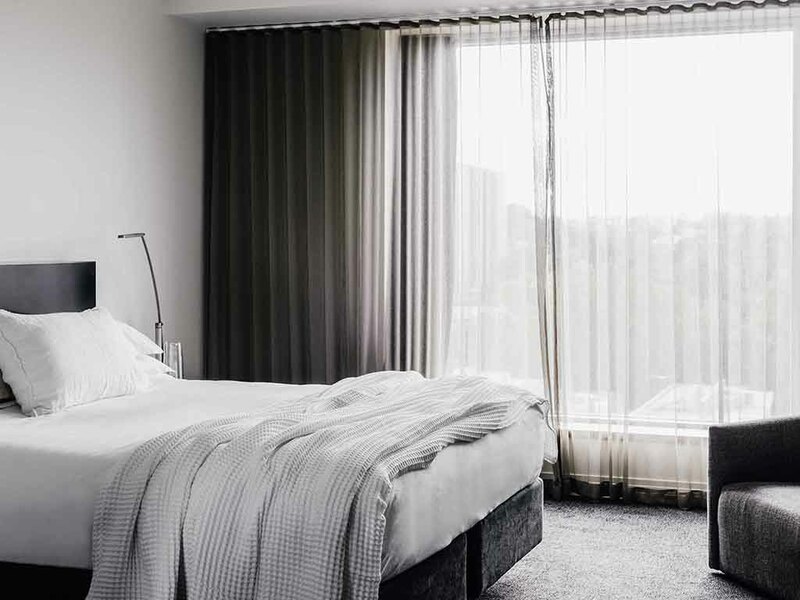 Blending an airy minimalist style with warm and attentive service, MGallery offers Melbourne hotel accommodation that is truly fabulous. Step inside and discover why celebrities and acclaimed artists choose us whenever they visit South Yarra. 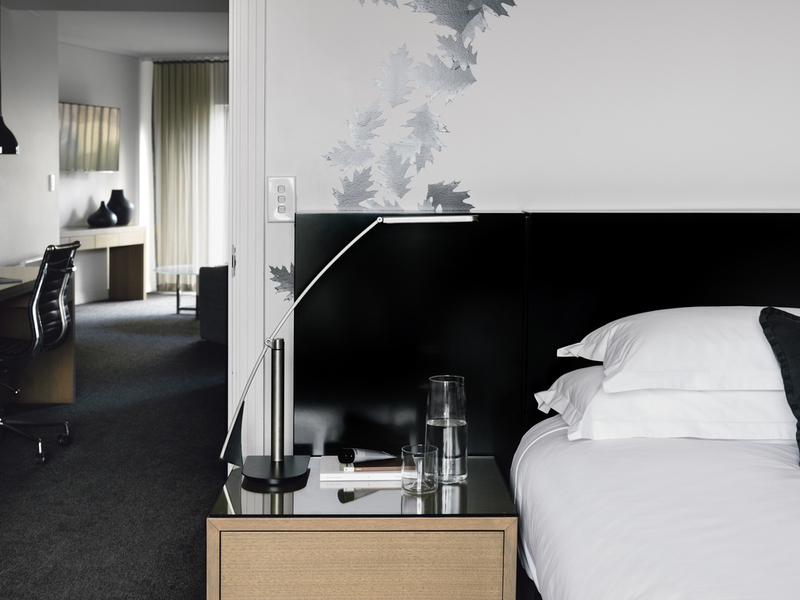 32 sqm / 345 sqf Our contemporary guest rooms are bathed in natural light and feature a luxurious King size bed. Each room offers a separate ensuite bathroom with signature Como duck and Appelles Apothecary Luxury Australian amenities. 32 sqm / 345 sqf Our contemporary guest rooms are bathed in natural light and feature 2 luxurious King Single beds. Each room offers a separate ensuite bathroom with signature Como duck and Appelles Apothecary Luxury Australian amenities. 40 sqm / 430 sqf Featuring a luxurious King bed (2 Single beds on request), these generously sized rooms have a spacious lounge area filled with natural light. Each marble bathroom features a spa bath with signature Como duck and Appelles amenities. 50 sqm / 538 sqf Junior in name only, these well-appointed suites blend lounge and bedroom with King size bed and the added luxury of a separate office. 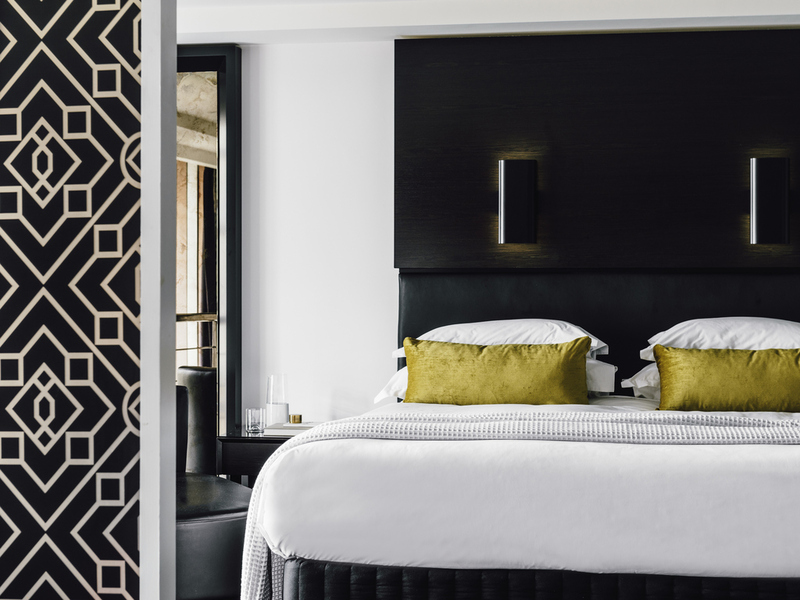 Each room offers a separate ensuite bathroom with signature Como duck and Appelles amenities. 120 sqm / 1292 sqf Featuring split levels, the spiral staircase leads you up to a private spa and sauna. The open plan lounge includes a kitchenette & dining table. The Pearl offers calm, neutral tones while Gem features a vibrant colour palette. 150 sqm / 1615 sqf Our largest and most glamorous penthouse is perfect for entertaining. Open plan living, baby grand piano, dining for 10 & private balcony. The staircase leads you up to the King bed and ensuite with free-standing stone bath. 52 sqm / 560 sqf Our 1 Bedroom Apartments feature a luxurious King bed (2 Single beds on request), separate lounge room with work desk and ensuite bathroom. 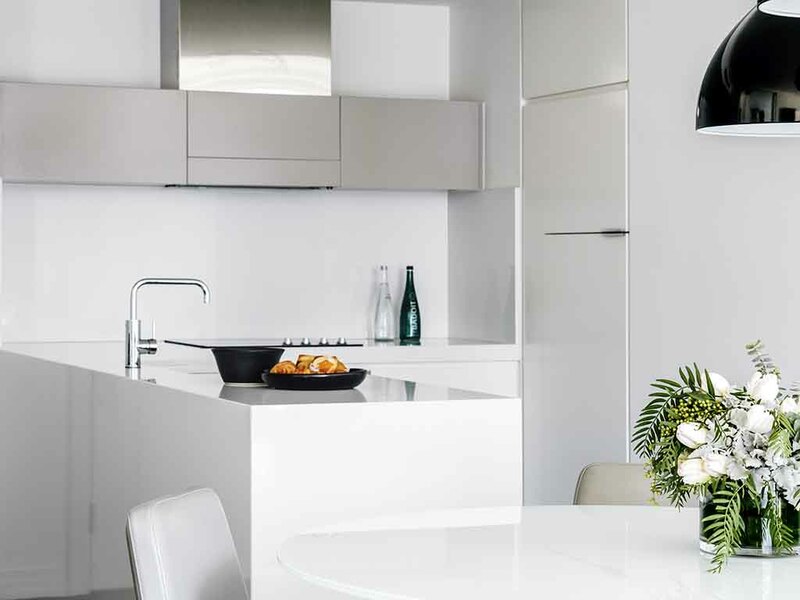 All apartments offer kitchenettes or for longer stays, full kitchens on request. 90 sqm / 969 sqf Offering ideal accommodation for family & friends. Choose between two Kings or one King and two Singles. Master ensuite features a large spa bath. Central living space includes a lounge area and full kitchen with dining table. Come in for a quick and healthy meal to start your day or enjoy a long, lazy weekend breakfast. The Brasserie serves an impressive continental morning buffet in addition to an à la carte menu. Enjoy your meal while taking in the stylish surroundings. Set in The Como Melbourne MGallery SOBar is the perfect place to relax with a drink while soaking up the elegant, minimalist ambience. Sip fabulous cocktails or select from a wide variety of international beers and delicious wines by the glass or bottle. The elegant and minimalist SOBar is the perfect place to relax with drinks and small bites. The Brasserie impresses with a bountiful continental buffet and creative à la carte menu. 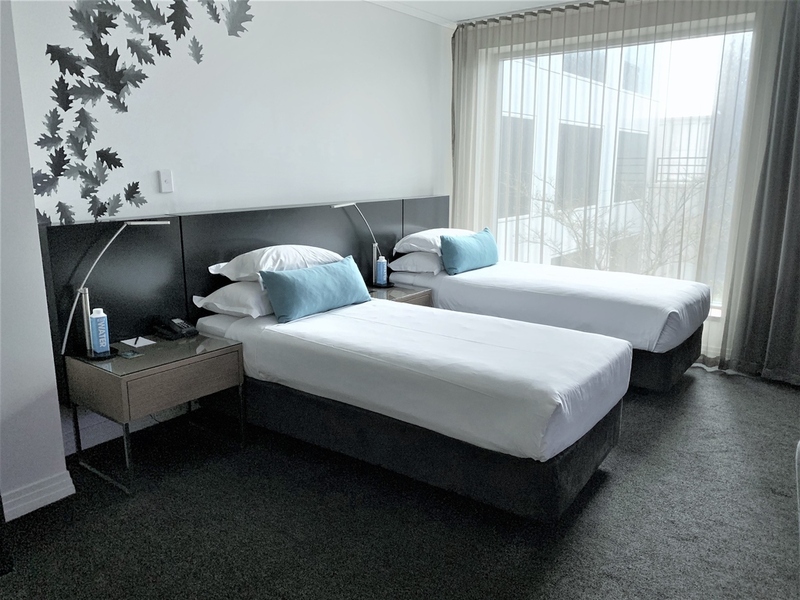 Dine in Melbourne and enjoy modern Australian cuisine in the comfort and privacy of your room. As you sit and unwind with a relaxing drink or cocktail in this Melbourne bar in South Yarra you may just see a familiar face amongst the stylish surrounds of SOBar. Featuring extensive event space and a stylish Chapel Street location, The Como Melbourne MGallery by Sofitel is the ideal choice of venue for boutique meetings and events in Melbourne. Accommodating 8 to 150 delegates, these modern Melbourne meeting rooms can be arranged in a variety of layout configurations. Event space options include one of eight elegant function rooms, the chic SOBar or the stunning pool and sundeck area. A variety of equipment and presentation tools are available on request, including projection equipment, video equipment and WIFI access. Delegates can also enjoy access to the hotel's many facilities such as its pool, spa, sauna and fitness centre. Elegant and stylish, The Como Melbourne provides the perfect setting for boutique weddings in Melbourne. The hotel is the ideal choice for intimate receptions, and wedding accommodation in our luxurious suites ideal for bridal parties or wedding night. Re-energize with a workout in our well-equipped fitness centre before plunging into the sparkling swimming pool, which is set beneath a retractable glass ceiling that drenches the space in sunlight. The indoor heated swimming pool features a unique retractable roof that lets in warm light on sunny days. With chic lounge chairs and an outdoor sun deck, this roof-top space is an ideal spot in South Yarra for exercising, relaxing and socialising.